Displaying Carolina anole Anolis carolinensis, copyright Jefferson Heard. Anolis, the anoles, is a diverse genus of more or less elongate lizards found in warmer parts of the Americas. Members of the genus possess a distinct dewlap under the throat that may be inflated for display. 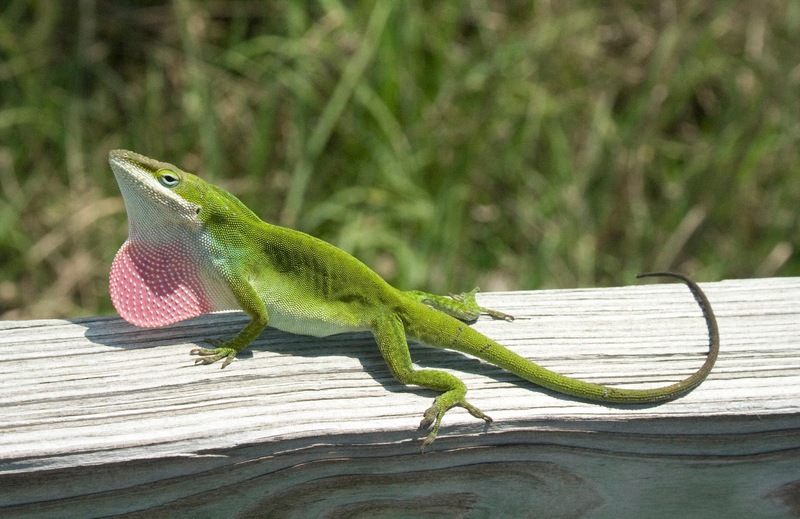 There has been much debate in recent years whether this genus should be defined as including the entire diversity of anoles, or whether it should be restricted to a smaller group centred around the type species A. carolinensis. 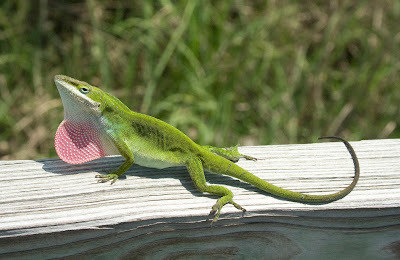 See also: Anole, anole, anole, anole. [DD61] Davis, W. B., & J. R. Dixon. 1961. Reptiles (exclusive of snakes) of the Chilpancingo Region, Mexico. Proceedings of the Biological Society of Washington 74: 37–56. [GH01] Garrido, O. H., & S. B. Hedges. 2001. A new anole from the northern slope of the Sierra Maestra in eastern Cuba (Squamata: Iguanidae). Journal of Herpetology 35 (3): 378–383. [GS86] Guyer, C., & J. M. Savage. 1986. Cladistic relationships among anoles (Sauria: Iguanidae). Systematic Zoology 35 (4): 509–531. [GS92] Guyer, C., & J. M. Savage. 1992. 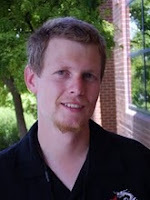 Anole systematics revisited. Systematic Biology 41 (1): 89–110. [K07] Köhler, G. 2007. Assessing the status of Anolis salvini Boulenger 1885 and A. bouvierii Bocourt 1873 based on the primary types (Reptilia, Squamata, Polychrotidae). Senckenbergiana Biologica 87 (1): 125–130. [KS08] Köhler, G., J. Sunyer, M. Ponce & A. Batista. 2008. Noteworthy records of amphibians and reptiles in Panama (Amphibia: Plethodontidae, Craugastoridae, Hylidae; Reptilia: Polychrotidae). Senckenbergiana Biologica 88 (2): 329–333. [SVK08] Sunyer, J., M. Veselý & G. Köhler. 2008. Morphological variation in Anolis wermuthi (Köhler & Obermeier 1998), a species endemic to the highlands of north-central Nicaragua (Reptilia, Squamata, Polychrotidae). Senckenbergiana Biologica 88 (2): 335–343.